Whitepages is a global leader in digital identity verification services for businesses and consumers. The company’s innovative people search tools are powered by more than five billion—and growing—global identity records. 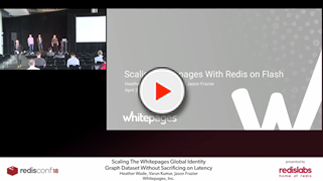 As Whitepages expands its identity dataset beyond North America, it increasingly relies on Redis on Flash, enterprise-grade Redis from Redis Labs, to keep operational costs low and performance high. Whitepages tested the performance and reliability of other solutions like MongoDB, Cassandra, Couchbase, Amazon ElastiCache and others but found that none could handle the full dataset size and still provide the single-digit latency that Redis could deliver. Redis Enterprise helps Whitepages maintain sub-hundred millisecond end-to-end latency of its application and provide a consistent end-user experience of its digital identity verification services for businesses and consumers, as it expands its identity dataset to achieve global reach. Initially, Whitepages housed the IDs to all that data in a key-value store on Amazon ElastiCache. But as the company expanded into other countries and saw its database rapidly balloon, this solution became unwieldy and resource-intensive. MongoDB, Apache Cassandra, and Couchbase were all evaluated as replacements for Elasticache, but, ultimately, none could handle the full dataset size and still provide the single-digit latency Whitepages was seeking. After several failed attempts with other NoSQL databases, Whitepages began researching enterprise-grade Redis from Redis Labs and Redis on Flash caught their attention. Redis on Flash stores hot values and keys in RAM and cold values in cost-effective flash-based SSDs. 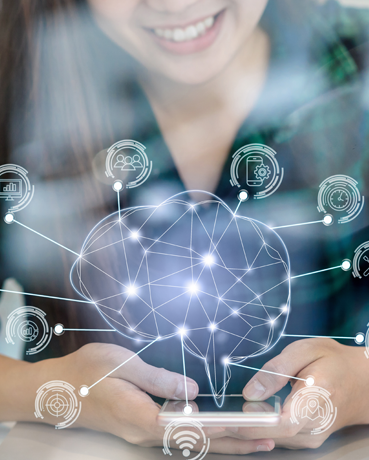 This breakthrough approach of tiering data access drastically reduces an application’s operational costs—without compromising performance, saving Whitepages hundreds of thousands of dollars.